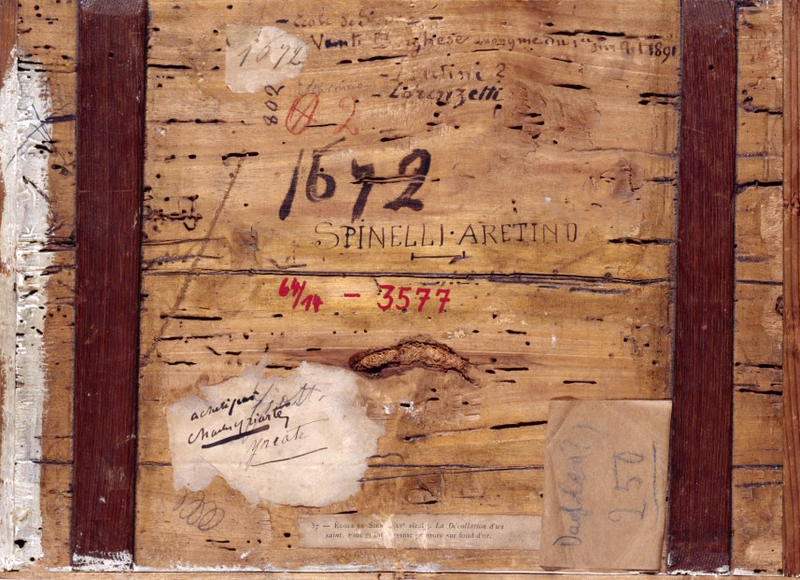 The focus of our work is on questions of the history of art as the history of culture, on the aesthetic, social, political and institutional constellations that have shaped the production, circulation and consumption of art since the 18th century. Places and forms of artist training, the transnational history of museums, the art market as a system that has grown over time, the various forms of intellectual and material appropriation of cultural property during times of peace and war, art theft and looted art: these are just some of the topics represented by the Chair, which forms part of the Institute of Art Studies and Historical Urban Studies, and offers the taught courses “Culture and Technology” (B.A.) and “Art Studies/Art Technology” as well as “Art & Museum Studies” (both M.A.). 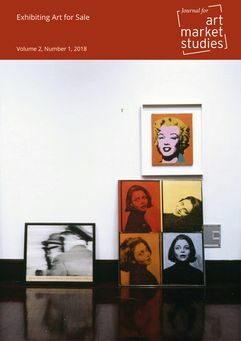 Dr. Uwe Hartmann, Magdeburg, will give an evening lecture at the Forum Kunst und Markt/Centre for Art Market Studies on the topic: "Das Geschäft mit der Kunst in der DDR: Privates Sammeln, verstaatlichter Handel und die Enteignung von Kulturgütern." 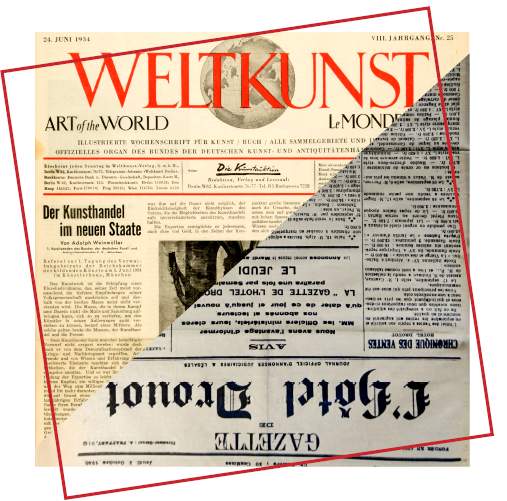 Dr. Janina Nentwig, Berlin, will give an evening lecture at the Forum Kunst und Markt/Center for Art Market Studies on the topic: "‘Zwischen Enthusiasmus und Bratkartoffeln‘ - Die Novembergruppe und der Kunstmarkt 1919-1932." After the lecture we cordially invite you to an informal reception. 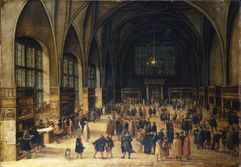 Dr. Berit Wagner, Frankfurt am Main, will give an evening lecture at the Forum Kunst und Markt/Center for Art Market Studies on the topic: "Der verführte Sammler – Der deutsche Kunsthandel in Stadt und Hof um 1600." Prof. Dr. Julia Voss, Lüneburg, will give an evening lecture at the Forum Kunst und Markt/Centre for Art Market Studies on the topic: "Künstlerinnen ohne Markt. 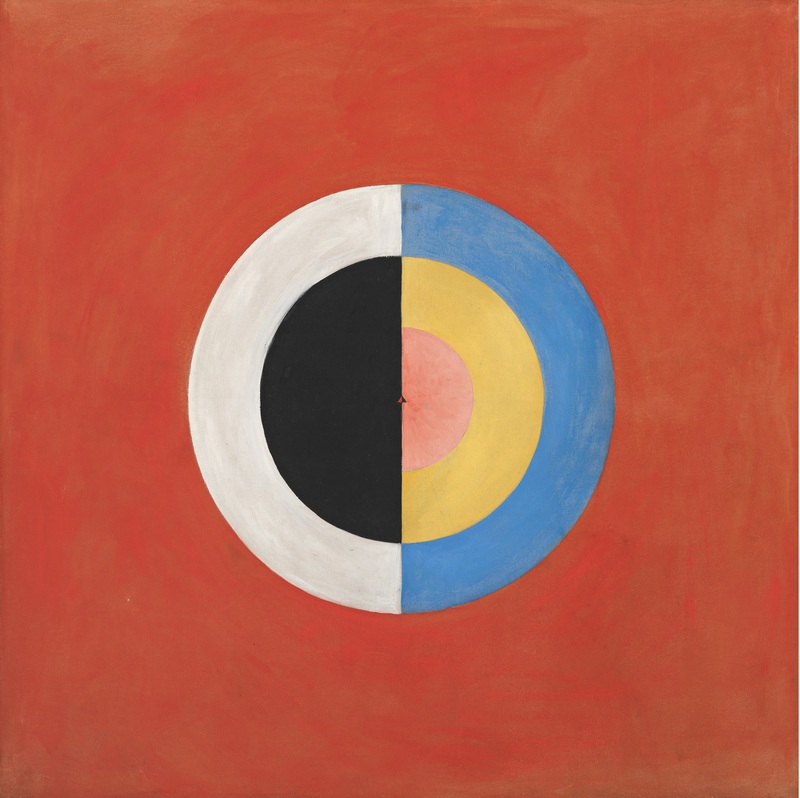 Der Fall Hilma af Klint." With contributions by Felicity Bodenstein, Ting Chang, Manuel Charpy, Nélia Dias, Natasha Eaton, Noëmie Etienne, Jonathan Fine, Christine Howald, Philip Jones, Sylvester Okwunodu Ogbechie, Ying-chen Peng, Léa Saint-Raymond and Élodie Vaudry, and Masako Yamamoto. At the beginning of its third year, the project cluster would like to invite participants to an international conference to be held in December 2019 in Berlin. The conference encourages an interdisciplinary exchange about the phenomenon of translocations. The discussion should cover its entire range, be it in terms of space, time or method. The starting point for the analysis of translocations or their representation in writing, images or other media can be diverse object groups, ranging from archaeological, ethnological and artistic artefacts to manuscripts, archival documents or objects from natural history. 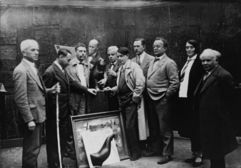 Keynote lecture of the international Conference Germany and France: Art Market and Art Collecting 1900-1945 of the Forum Kunst und Markt / Centre for Art Market Studies. 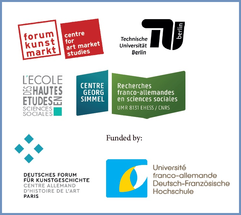 The conference is part of the Berlin Science Week 2018 as well as the first part of the German-French Research Programme 2018–2019 “Art Market and Art Collecting from 1900 to the Present in Germany and France”, organised by the Forum Kunst und Markt / Centre for Art Market Studies at TU Berlin and the Centre Georg Simmel at the École des Hautes Études en Sciences Sociales in collaboration with the Deutsches Forum für Kunstgeschichte Paris. The German-French Research Programme 2018–2019 is funded by the UFA/DFH. 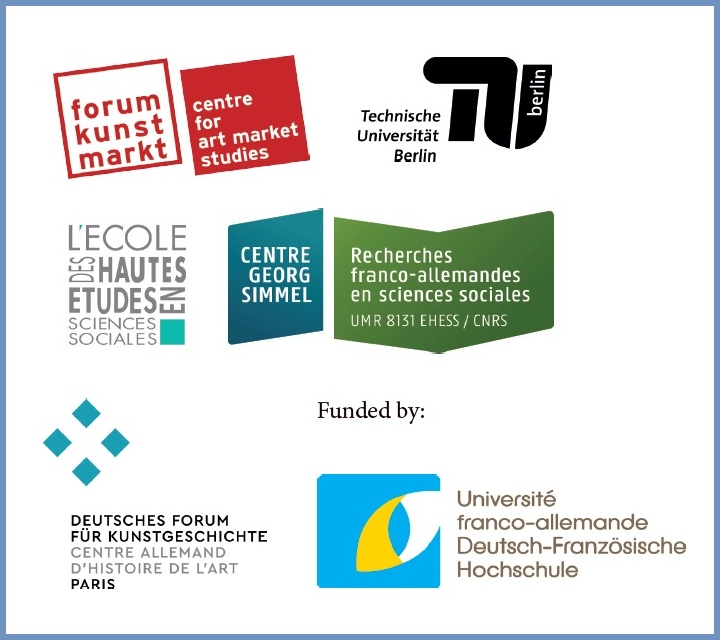 In 2018/2019, the Forum Kunst und Markt/Centre for Art Market Studies at Technische Universität Berlin in partnership with the Centre Georg Simmel at École des Hautes Études en Sciences Sociales and the Deutsches Forum für Kunstgeschichte in Paris is organising the research programme “Art Market and Art Collecting from 1900 to the Present in Germany and France”. 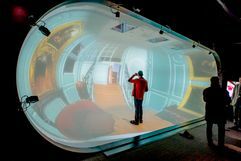 The programme’s thematic emphasis is research into the art market and art collecting in national and transnational networks in Germany and France as well as how they relate to art and cultural policy. The project is funded by the Université franco-allemande/Deutsch-Französische Hochschule. 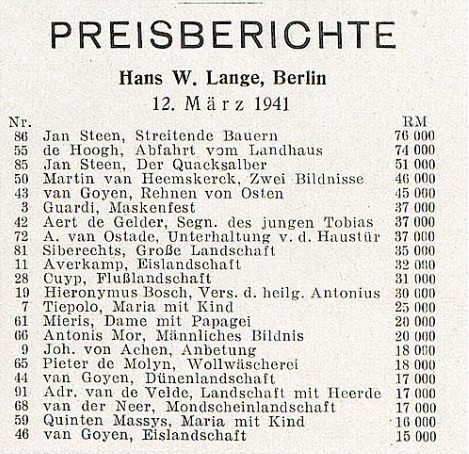 Prof. Dr. Rainer Stamm, Oldenburg, will give an evening lecture at the Center for Art Market Studies on the topic: "Französische und deutsche Avantgarde in Berlin. Otto Feldmanns ‚Neue Galerie‘ 1913/14." Prof. Dr. Sophie Raux, Lyon, talks about: "Mapping and 3D Visualization of European markets: Gersaint, Watteau and the Pont Notre Dame in the early 18th Century." 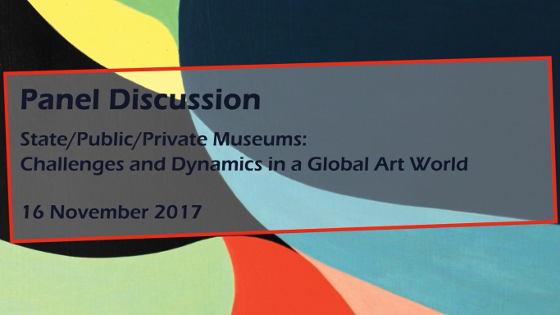 The panel discussion of the symposium “The Global Power of Private Museums: Arts and Publics – States and Markets” is available online now. Photo documentation for no. 324-26: Peter Paul Rubens, Portrait of a Monk (oil on wood, 47.6 x 38.7 cm). 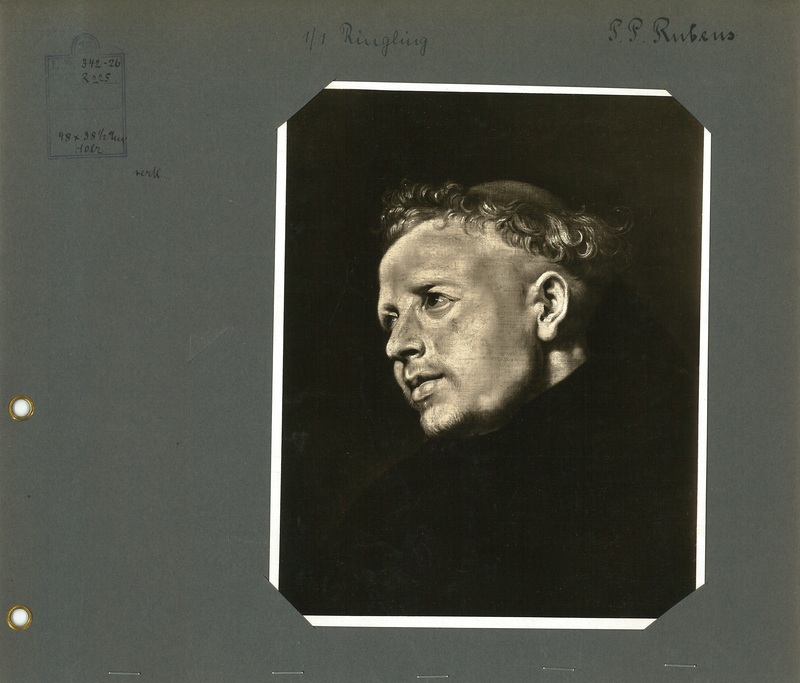 The painting was sold by Julius Böhler to John Ringling in 1926 (today: The Ringling, Sarasota/Florida, USA, Inv. No. 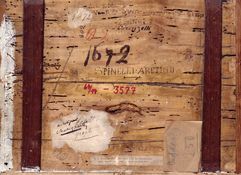 SN224). Dr. Meike Hopp (Munich) and Sophie Kriegenhofer, M.A. (Munich) talk about "'Museum progressing rapidly': Der Kunsthändler Julius Böhler (1883-1966), der amerikanische Kunstmarkt und das Ringling Museum of Art in Florida." 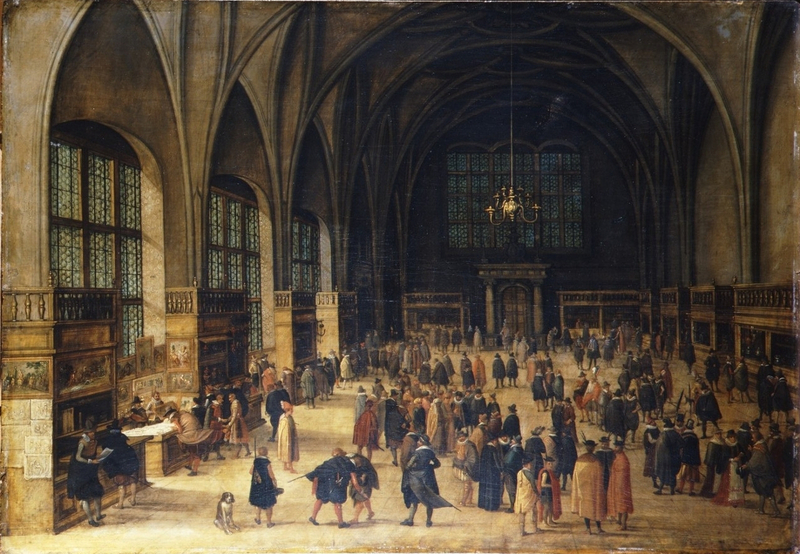 One of our main research focuses at the Institute for Modern Art History is on provenance research, especially the displacement of cultural assets (Research Cluster translocations), the art market, and object biographies (Art Markets and Provenance). We also believe strongly in the importance of directly connecting researchers and students. To this end, we work closely with the British Museum, the Staatlichen Museen zu Berlin, and the Berlinische Galerie to develop a curriculum involving first hand experience. Each semester, our Center for Art Market Studies also puts on a series of Evening Lectures, which are open to the public. 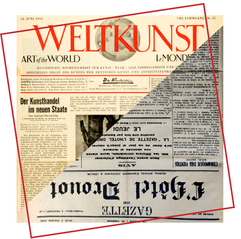 Each year in the Summer Semester, Dr. Wolfgang Schöddert of the Berlinische Galerie offers a Seminar on "Aufgaben und Methoden der Provenienzforschung." Prof. Dr. Bénédicte Savoy, together with the Senegalese scientist, author, and musician Prof. Dr. Felwine Sarr have been appointed by French President Emmanuel Macron to research the potential terms under which African works of art currently in French possession could be returned to their countries of origin. For more Information see TU Press Release (in German). 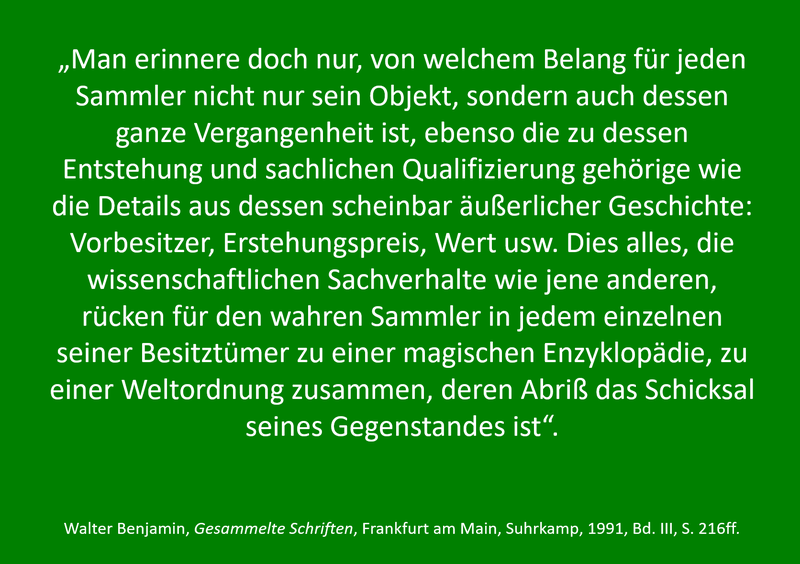 "Haus der Weißen Herren Humboldt Forum, Shared Heritage und der Umgang mit dem Anderen"
Bénédicte Savoy, Dr. Ing. Noa K. Ha, Bonaventure Soh Bejeng Ndikung and Lorenz Rollhäuser will discuss "colonial arrogance in the new Humboldt Forum" at Heimhafen Neukölln. Presented by Deutschlandfunk Kultur. The State of Art History: DER SPIEGEL live in the Berlinische Galerie. A public talk with Bénédicte Savoy and SPIEGEL art and culture critic Ulrike Knöfel. The third issue of the Journal for Art Market Studies looks at places of exhibition on the art market: How do exhibition strategies and buying/selling actions influence one another? 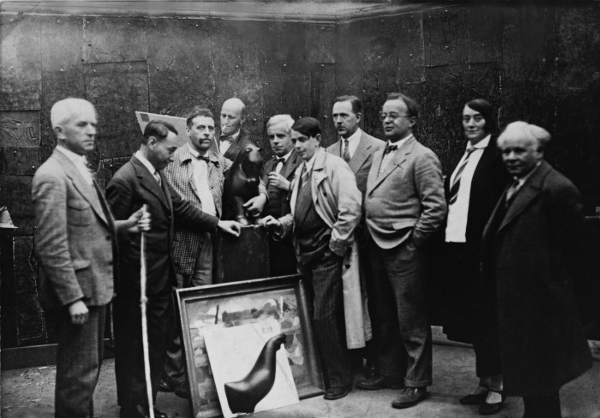 Articles range on focus from contemporary New York art galleries to art fairs, to galleries from modern art in Paris and Berlin at the beginning of the 20th century. 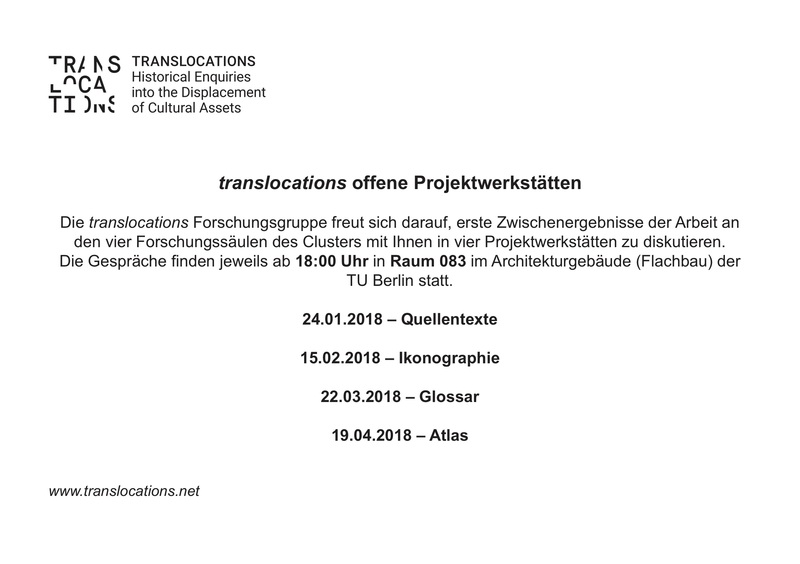 The translocations research cluster will host four open project workshops, in which initial findings will be presented and discussed in a group setting. The talks begin at 18:00 in Room AF 083, TU Berlin. Space is limited. Please email Merten Lagatz (lagatz@tu-berlin.de) to register. In her seminar on "Why Athens? A Critical Reflection on Documenta 14," Prof. Dr. Eleonora Vratskidou and her students developed a databank documenting the current exhibition. The seminar group recently partnered with the French online platform Artl@s.
Dr. Caroline Flick (Berlin) will give an evening lecture at the Center for Art Market Studies on the topic "Hochpreisphase. 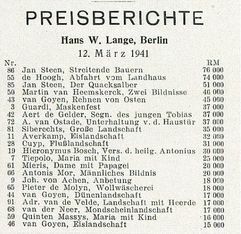 Das Berliner Auktionshaus Hans W. Lange 1940-1943." The lecture will be held in German. TU Berlin, Architecture Building, Room A 111, Straße des 17. 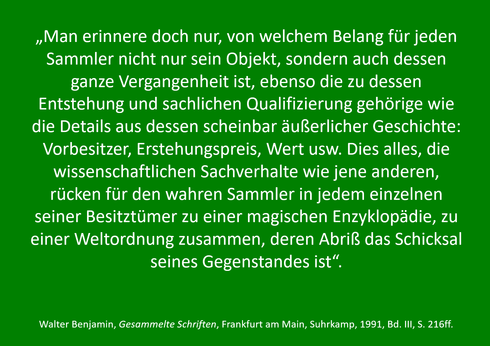 Juni 150/152, 10623 Berlin. 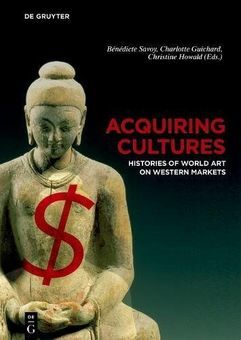 Prof. Dr. Gilbert Lupfer (Dresden/Magdeburg) will give an evening lecture at the Center for Art Market Studies on the topic "Provenance Research. Yesterday - Today - Tomorrow. 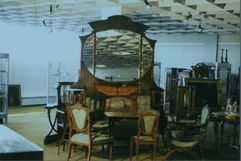 The "Daphne" Project at the Staatlichen Kunstsammlungen Dresden." The lecture will be held in German. Presentations: Provenance research on objects from the East Asian art collections. 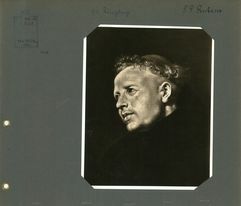 The Deutsche Gesellschaft für Ostasiatische Kunst e.V. 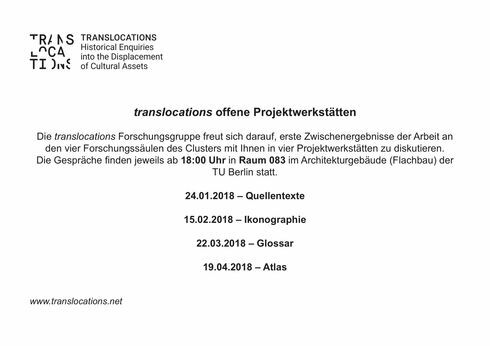 will host short student presentations from the TU Berlin seminar "Tracing Museum Collections: Provenance Research on East Asian Art“. Selected object biographies of objects from the East Asian Art Collection will be presented. Starting this year, the Chair for Modern Art History's translocations research cluster will begin a collaboration with the British Museum in London. 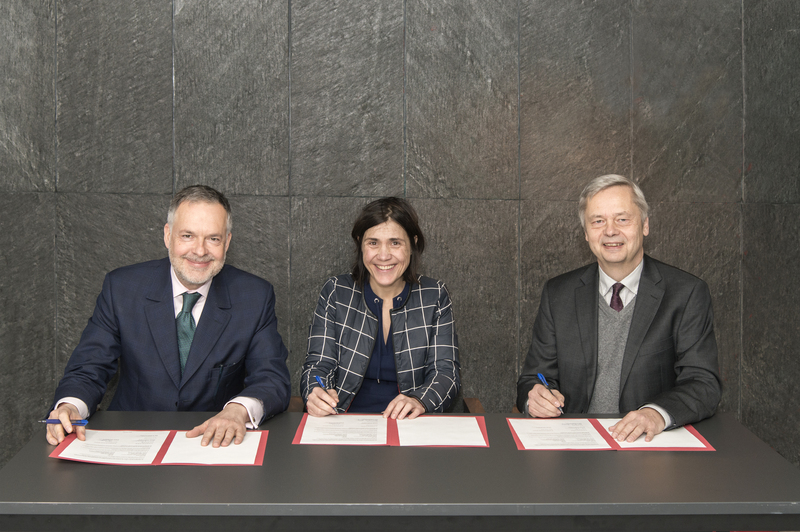 A cooperation agreement was signed by the director of the British Museum, Hartwig Fischer, Bénédicte Savoy, and TU President Christian Thomsen in Berlin. 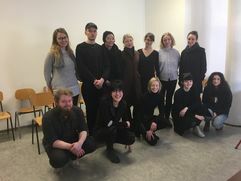 This collaboration will take the form of concrete projects: A conference is currently being prepared for Fall 2018 in Berlin, a research colloquium for doctoral students and established researchers will take place at regular intervals, project seminars with TU Berlin students have been planned, and collaborations in the field of digital research will be in focus. 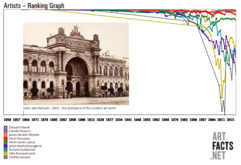 The new blog from the Institute for Modern Art History is the academic output of the project seminar Quellentexte zum Kunstraub seit der Antike (under Bénédicte Savoy, Robert Skwirblies, and Luca Frepoli), in connection with the research cluster translocations. The student film "Wem gehört Kulturerbe?" is one result of the of the Winter Semester 2016/2017 project seminar „Aneignungen von Kunst - Perspektive der Enteigneten“ under the direction of Prof. Bénédicte Savoy and Merten Lagatz.